Something About Me Saturday: I Have A Thing For Cake. Here's a piece I chowed down on last week. Heaven! 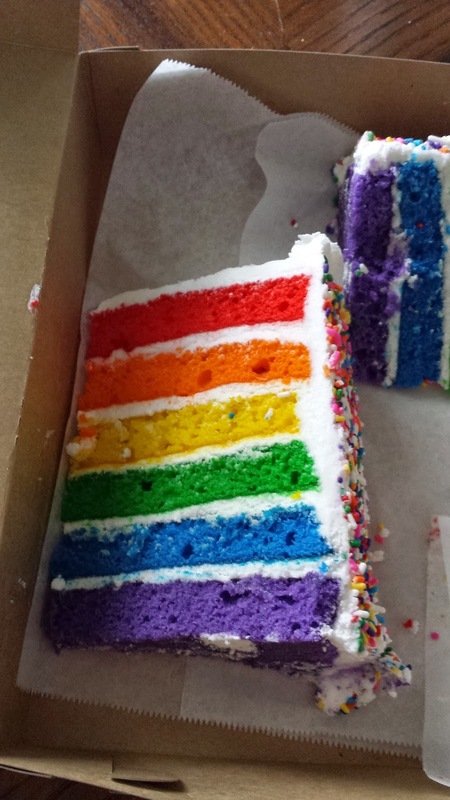 Wow that is some colorful cake! I love cake too, but not especially store cake. My family makes the best cakes and I'm lucky we don't have more birthdays and holidays! I love Cake too! That is Beautiful. It's hard to find those layered cakes from the old days...Glad to see a Modern version of it! Pretty!